A simple tooth is literally adding spice to your tabletop. Express your own style and excite your guests with this salt and pepper shaker set that will definitely give them something to talk about. 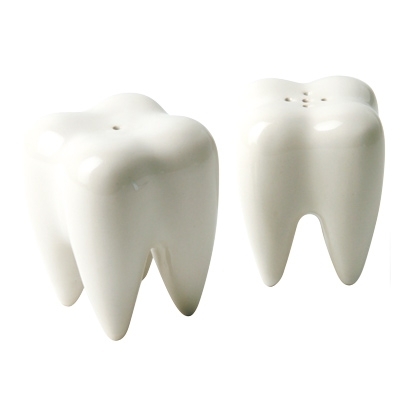 The tooth body is made of ceramic representing the glossy effect of a shiny tooth and at the same time cool and attractive to touch. Such is the double spice this shaker set adds to your meals and life.